The all-new 2019 Nissan Altima, now available at Star Nissan, introduces a new experience of intelligence. The ALL-NEW Altima’s enhanced performance is a result of the vehicle’s advanced features, like the ground-breaking VC-Turbo Engine and available All-Wheel Drive. 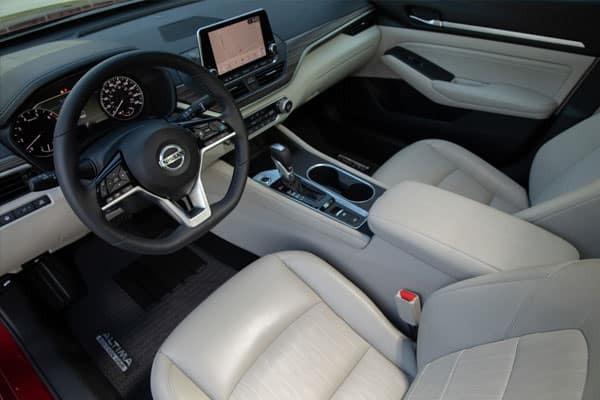 Inside, the 2019 Nissan Altima interior offers a near-luxury feel in both design and materials – marked by the lightweight, layered and more horizontal “gliding wing” instrument panel and high-contrast colors and trim. The available premium leather-appointed interior, heated steering wheel, and dual zone automatic temperature control put comfort and convenience at your fingertips. Two new engines are introduced on the all-new Altima. Replacing the previous-generation Altima’s 3.5-liter V6 engine is the Nissan’s world’s first production-ready variable compression turbo inline 4-cylinder. The advanced 2.0-liter VC-Turbo engine delivers near V6-level performance with 4-cylinder fuel economy. 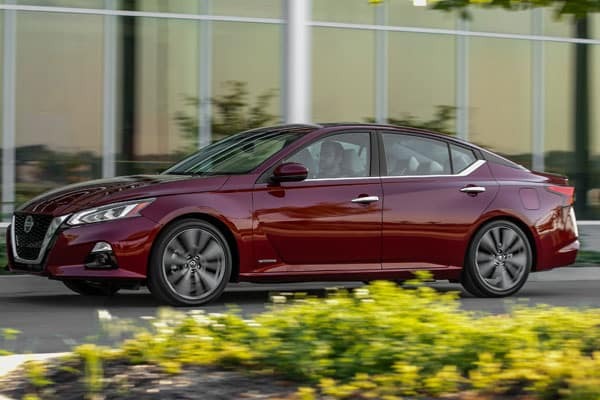 Standard on all 2019 Altima grade levels is a new 2.5-liter DOHC inline 4-cylinder direct-injection engine. The 2019 Altima also offers available Intelligent All-Wheel Drive for the first time EVER on an Altima. Snow or rain-covered pavement, this system automatically sends power to the wheels with the best traction for a more confident drive. The 2019 Nissan Altima takes safety to another level with Nissan ProPILOT Assist. Standard on the 2019 Altima SV, SL, and Platinum trims, ProPilot Assist features intuitive safety technology such as Rear Automatic Braking that detects stationary objects when backing up. The system also applies brakes if necessary to help avoid collision. Also available is the Nissan Safety Shield 360, providing front, side and rear safety monitoring and intervention technologies. These technologies include Automatic Emergency Braking with Pedestrian Detection, Lane Departure Warning, radar-based Blind Spot Warning, Rear Cross Traffic Alert and High Beam Assist. 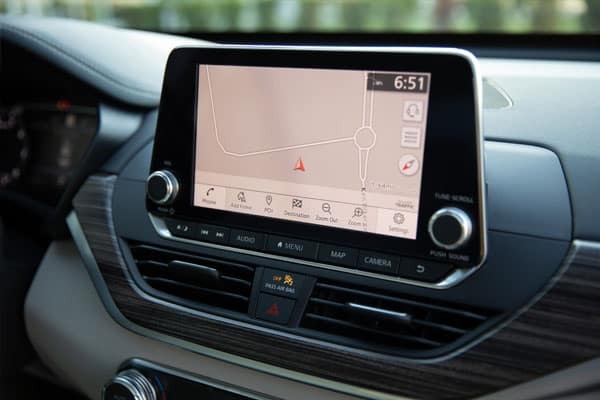 2019 Altima comes equipped with standard NissanConnectSM featuring Apple CarPlay™ and Android Auto™, with 8-inch multi-touch color display, Bluetooth® Hands-free Phone System and Streaming audio via Bluetooth®, Hands-free Text Messaging Assistant and Siri Eyes Free/Google Assistant™ Voice Recognition. Enhance your listening experience with Bose Premium Audio System that includes 9 speakers throughout the vehicle. For your convenience, the Remote Engine Start System allows you to start your vehicle from the comfort of your home. Want to know more? 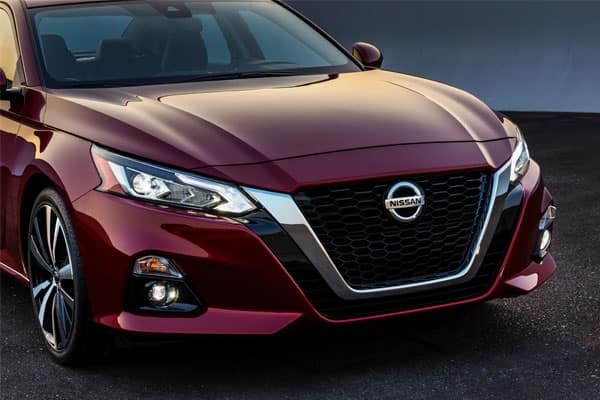 Check out the different 2019 Nissan Altima Trims to learn more! You can visit Star Nissan at 5757 W. Touhy Ave in Niles, IL to see the 2019 Nissan Altima. You can contact us to schedule an appointment, or get directions below!